Michael Adams was born in Sacramento, California on 5 May 1930. He enlisted in the U.S.Air Force in 1950 after graduation from Sacramento Junior College and earned his pilot wings and commission in 1952 at Webb AFB, Texas. Adams served as a fighter-bomber pilot during the Korean conflict, followed by 30 months with the 813th Fighter-Bomber Squadron at England AFB, Louisiana and six months rotational duty at Chaumont Air Base in France. In 1958, Adams received an aeronautical engineering degree from Oklahoma University and, after 18 months of astronautics study at Massachusetts Institute of Technology, was selected in 1962 for the Experimental Test Pilot School at Edwards AFB, California. Here, he won the Honts Trophy as the best scholar and pilot in his class. 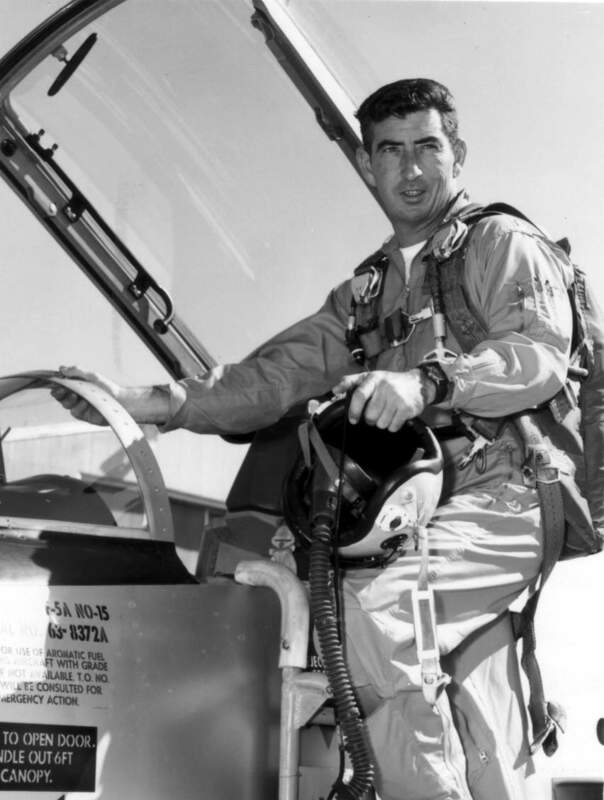 Adams subsequently attended the Aerospace Research Pilot School (ARPS), graduating with honors in December 1963. He was one of four Edwards aerospace research pilots to participate in a five-month series of NASA moon landing practice tests at the Martin Company in Baltimore, Maryland. Mort d'Adams suite à une défaillance du SAS conduisant à un dérapage lors de la rentrée atmosphérique puis à une mise en vrille. In July 1966, Major Adams came to the X-15 program, a joint USAF/NASA project. He made his first X-15 flight on 6 October 1966 in the number one aircraft. Adams' seventh X-15 flight took place on 15 November 1967 in the number three aircraft. The X-15-3 would also make the most tragic flight of the program. At 10:30 in the morning on 15 November 1967, the X-15-3 dropped away from the NB-52B at 45,000 feet over Delamar Dry Lake. At the controls was Major Michael J. Adams, making his seventh X-15 flight. Starting his climb under full power, he was soon passing through 85,000 feet. Then an electrical disturbance distracted him and slightly degraded the control of the aircraft; having adequate backup controls, Adams continued on. At 10:33 he reached a peak altitude of 266,000 feet. In the NASA 1 control room, mission controller Pete Knight monitored the mission with a team of engineers. As the X-15 climbed, Adams started a planned wing-rocking maneuver so an on-board camera could scan the horizon. The wing rocking quickly became excessive, by a factor of two or three. At the conclusion of the wing-rocking portion of the climb, the X-15 began a slow drift in heading; 40 seconds later, when the aircraft reached its maximum altitude, it was off heading by 15 degrees. As Adams came over the top, the drift briefly halted, with the airplane yawed 15 degrees to the right. Then the drift began again; within 30 seconds, Adams was descending at right angles to the flight path. At 230,000 feet, encountering rapidly increasing dynamic pressures, the X-15 entered a Mach 5 spin. In the NASA 1 control room there was no way to monitor heading, so nobody suspected the true situation that Adams now faced. The controllers did not know that the airplane was yawing, eventually turning completely around. In fact, Knight advised Adams that he was "a little bit high," but in "real good shape." Just 15 seconds later, Adams radioed that the aircraft "seems squirrelly." At 10:34 came a shattering call: "I'm in a spin, Pete." Plagued by lack of heading information, the control room staff saw only large and very slow pitching and rolling motions. One reaction was "disbelief; the feeling that possibly he was overstating the case." But Adams again called out, "I'm in a spin." As best they could, the ground controllers sought to get the X-15 straightened out. There was no recommended spin recovery technique for the X-15, and engineers knew nothing about the aircraft's supersonic spin tendencies. The chase pilots, realizing that the X-15 would never make Rogers Dry Lake, went into afterburner and raced for the emergency lakes; Ballarat and Cuddeback. Adams held the X-15's controls against the spin, using both the aerodynamic control surfaces and the reaction controls. Through some combination of pilot technique and basic aerodynamic stability, the airplane recovered from the spin at 118,000 feet and went into an inverted Mach 4.7 dive at an angle between 40 and 45 degrees. Adams was in a relatively high altitude dive and had a good chance of rolling upright, pulling out, and setting up a landing. But now came a technical problem; the MH-96 began a limit-cycle oscillation just as the airplane came out of the spin, preventing the gain changer from reducing pitch as dynamic pressure increased. The X-15 began a rapid pitching motion of increasing severity, still in a dive at 160,000 feet per minute, dynamic pressure increasing intolerably. As the X-15 neared 65,000 feet, it was diving at Mach 3.93 and experiencing over 15-g vertically, both positive and negative, and 8-g laterally. The aircraft broke up northeast of the town of Johannesburg 10 minutes and 35 seconds after launch. A chase pilot spotted dust on Cuddeback, but it was not the X-15. Then an Air Force pilot, who had been up on a delayed chase mission and had tagged along on the X-15 flight to see if he could fill in for an errant chase plane, spotted the main wreckage northwest of Cuddeback. Mike Adams was dead; the X-15-3 destroyed. NASA and the Air Force convened an accident board. Chaired by NASA's Donald R. Bellman, the board took two months to prepare its report. Ground parties scoured the countryside looking for wreckage; critical to the investigation was the film from the cockpit camera. The weekend after the accident, an unofficial FRC search party found the camera; disappointingly, the film cartridge was nowhere in sight. Engineers theorized that the film cassette, being lighter than the camera, might be further away, blown north by winds at altitude. FRC engineer Victor Horton organized a search and on 29 November, during the first pass over the area, Willard E. Dives found the cassette. Most puzzling was Adams' complete lack of awareness of major heading deviations in spite of accurately functioning cockpit instrumentation. The accident board concluded that he had allowed the aircraft to deviate as the result of a combination of distraction, misinterpretation of his instrumentation display, and possible vertigo. The electrical disturbance early in the flight degraded the overall effectiveness of the aircraft's control system and further added to pilot workload. The MH-96 adaptive control system then caused the airplane to break up during reentry. The board made two major recommendations: install a telemetered heading indicator in the control room, visible to the flight controller; and medically screen X-15 pilot candidates for labyrinth (vertigo) sensitivity. As a result of the X-15's crash, the FRC added a ground-based "8 ball" attitude indicator in the control room to furnish mission controllers with real time pitch, roll, heading, angle of attack, and sideslip information. Mike Adams was posthumously awarded Astronaut Wings for his last flight in the X-15-3, which had attained an altitude of 266,000 feet - 50.38 miles. In 1991 Adams' name was added to the Astronaut Memorial at the Kennedy Space Center in Florida. Neil A. Armstrong joined the National Advisory Committee for Aeronautics (NACA) at the Lewis Flight Propulsion Laboratory (later NASAÕs Lewis Research Center, Cleveland, Ohio, and today the Glenn Research Center) in 1955. 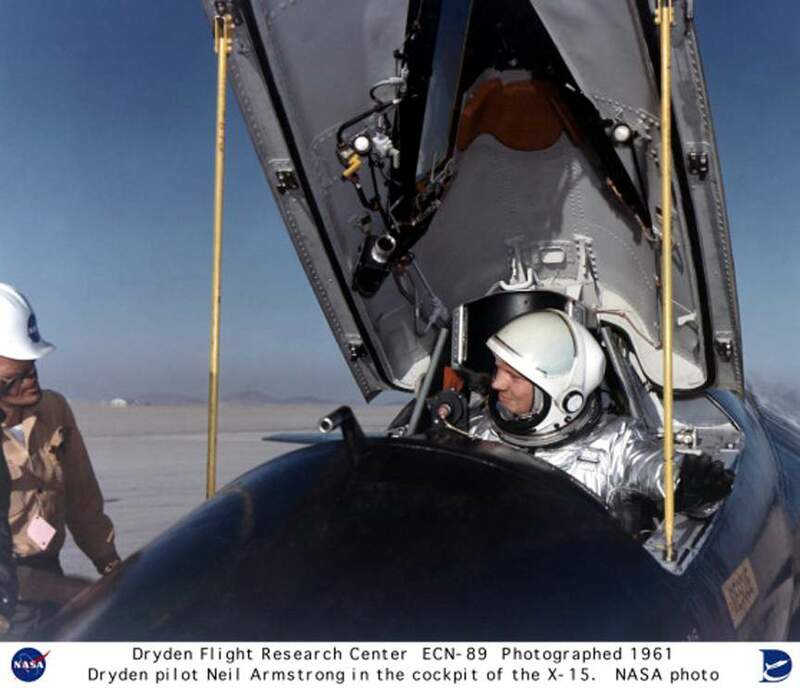 Later that year, he transferred to the NACA's High-Speed Flight Station (today, NASAÕs Dryden Flight Research Center) at Edwards Air Force Base in California as an aeronautical research scientist and then as a pilot, a position he held until becoming an astronaut in 1962. He was one of nine NASA astronauts in the second class to be chosen. As a research pilot Armstrong served as project pilot on the F-100A and F-100C aircraft, F-101, and the F-104A. He also flew the X-1B, X-5, F-105, F-106, B-47, KC-135, and Paresev. He left Dryden with a total of over 2450 flying hours. He was a member of the USAF-NASA Dyna-Soar Pilot Consultant Group before the Dyna-Soar project was cancelled, and studied X-20 Dyna-Soar approaches and abort maneuvers through use of the F-102A and F5D jet aircraft. Premier vol du X-15 n°3, reconstruit après une explosion au sol, test du MH-96. Armstrong was actively engaged in both piloting and engineering aspects of the X-15 program from its inception. He completed the first flight in the aircraft equipped with a new flow-direction sensor (ball nose) and the initial flight in an X-15 equipped with a self-adaptive flight control system. He worked closely with designers and engineers in development of the adaptive system, and made seven flights in the rocket plane from December 1960 until July 1962. During those fights he reached a peak altitude of 207,500 feet in the X-15-3, and a speed of 3,989 mph (Mach 5.74) in the X-15-1. Armstrong was born August 5, 1930, in Wapakoneta, Ohio. He attended Purdue University, earning his Bachelor of Science degree in aeronautical engineering in 1955. During the Korean War, which interrupted his engineering studies, he flew 78 combat missions in F9F-2 jet fighters. He was awarded the Air Medal and two Gold Stars. He later earned a Master of Science degree in aerospace engineering from the University of Southern California. Armstrong has a total of 8 days and 14 hours in space, including 2 hours and 48 minutes walking on the Moon. In March 1966 he was commander of the Gemini 8 orbital space flight with David Scott as pilotÑthe first successful docking of two vehicles in orbit. On July 20, 1969, during the Apollo 11 lunar mission, he became the first human to set foot on the Moon. 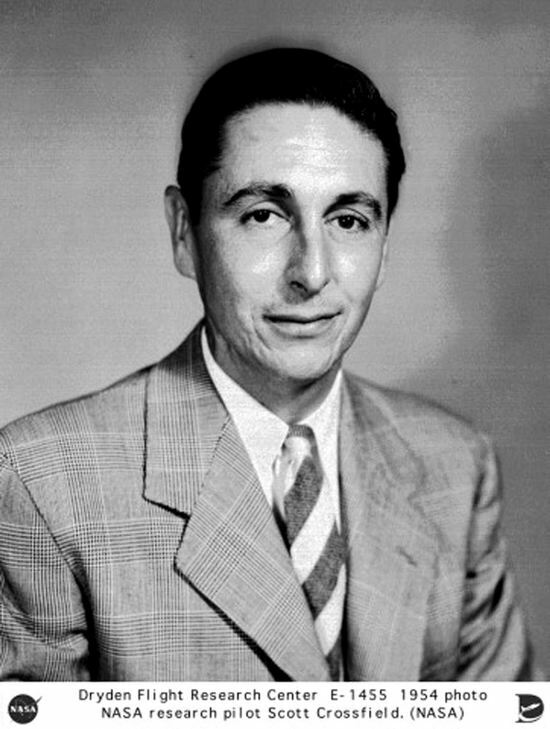 From 1969 to 1971 he was Deputy Associate Administrator for Aeronautics at NASA Headquarters, and resigned from NASA in August 1971 to become Professor of Engineering at the University of Cincinnati, a post he held until 1979. He became Chairman of the Board of Cardwell International, Ltd., in Lebanon, Ohio, in 1980 and served in that capacity until 1982. During the years 1982-1992, Armstrong was chairman of Computing Technologies for Aviation, Inc., in Charlottesville, Virginia. From 1981 to 1999, he served on the board of directors for Eaton Corp. He served as chairman of the board of AIL Systems, Inc. of Deer Park, New York, until 1999 and in 2000 was elected chairman of the board of EDO Corp., a manaufacturer of electronic and mechanical systems for the aerospace, defense and industrial markets, based in New York City. From 1985 to 1986, Armstrong served on the National Commission on Space, a presidential committee to develop goals for a national space program into the 21st century. He was also Vice Chairman of the committee investigating the Space Shuttle Challenger disaster in 1986. During the early 1990s he hosted an aviation documentary series for television entitled First Flights. Armstrong has been the recipient of numerous awards, including the Presidential Medal for Freedom and the Robert J. Collier Trophy in 1969; the Robert H. Goddard Memorial Trophy in 1970; the Congressional Space Medal of Honor in 1978; and many medals from other countries. Scott Crossfield joined the National Advisory Committee for Aeronautics (NACA—the predecessor of the National Aeronautics and Space Administration or NASA) at its High Speed Flight Research Station, Edwards, Calif., as a research pilot in June, 1950. During the next five years, he flew the X-1, X-4, X-5, XF-92A, and D-558-I and -II aircraft, accumulating 87 rocket flights in the X-1 and D-558-II aircraft, plus 12 flights in the latter aircraft employing only jet power. He made aeronautical history on November 20, 1953, when he reached the aviation milestone of Mach 2 (twice the speed of sound) or more than 1,320 miles per hour in the D-558-II Skyrocket. Taken aloft in the supersonic, swept-wing research aircraft by a Boeing P2B Superfortress "mother ship" (the Navy designation of the B-29), he dropped clear of the bomber at 32,000 feet and climbed to 72,000 feet before diving to 62,000 feet where he became the first pilot to fly more than twice the speed of sound. His flight was part of a carefully planned program of flight research with the Skyrocket that featured incremental increases in speed while NACA instrumentation recorded the flight data at each increment. 1er vol libre non propulsé. 1er vol propulsé du X-15 n°2. Crash du X-15 n°2 à l'atterrissage. 1er vol propulsé du X-15 n°1. Following his five years at the Edwards unit (redesignated the NACA High Speed Flight Station in 1954), Crossfield left the NACA in 1955 to work for North American Aviation, the firm just awarded a contract to design and build the X-15 rocket-powered airplane. There, he served as both pilot and design consultant for the revolutionary new aircraft. Responsible for many of the operational and safety features incorporated into the X-15, Crossfield guided the rocket-powered airplane on its first free flight in 1959 and subsequently qualified the first two X-15s for flight before North American turned them over to NASA and the U.S. Air Force. He flew the two aircraft a total of 14 times (not counting 16 captive flights), reaching a maximum speed of Mach 2.97 (1,960 miles per hour) and a maximum altitude of 88,116 feet. In 1960, Crossfield published his autobiography (written with Clay Blair, Jr.), Always Another Dawn: The Story of a Rocket Test Pilot (New York: Arno Press, reprinted 1971). There he covered his life through the completion of the early X-15 flights. Crossfield also served for five years as System Director responsible for systems test, reliability engineering, and quality assurance for North American Aviation on the WS 131 Hound Dog Missile, Paraglider, Apollo Command and Service Module, and the Saturn II Booster. Then from 1966 to 1967 he served as Technical Director, Research Engineering and Test at North American Aviation. Crossfield served as an executive for Eastern Airlines from 1967 to 1973, helping the company develop its technological applications, new aircraft specifications, and flight research programs. Then from 1974 to 1975, he was Senior Vice President for Hawker Siddley Aviation, setting up its U.S. subsidiary for design, support, and marketing of the HS-146 transport in North America. From 1977 until his retirement in 1993, he served as technical consultant to the House Committee on Science and Technology, advising committee members on matters relating to civil aviation. Upon his retirement, NASA Administrator Daniel S. Goldin awarded him the NASA Distinguished Public Service Medal for his contributions to aeronautics and aviation over a period spanning half a century. Among his many other awards were the Collier Trophy for 1961 from the National Aeronautics Association, presented by President John F. Kennedy at the White House in 1962 and the International Clifford B. Harmon Trophy for 1960, presented by President Kennedy in the White House the year before. Born in Berkeley, Calif., on October 2, 1921, Crossfield began his engineering training at the University of Washington in 1940. He interrupted his education to join the U.S. Navy in 1942. Commissioned an ensign in 1943 following flight training, he served as a fighter and gunnery instructor and maintenance officer before spending six months overseas without seeing combat duty but flying such aircraft as the F6F and F4U fighters. While in the Navy he also flew SNJs and a variety of other aircraft. He resumed his engineering studies in 1946 and graduated with a bachelor of science degree in aeronautical engineering from the University of Washington in 1949. He earned a masters in aeronautical science the following year from the same university and received an honorary doctor of science degree from the Florida Institute of Technology in 1982. He currently resides in Herndon, Virginia.